The Three Mile Creek range will open to the public on May 4th at 0900. The Three Mile Creek Range is a Restricted Use shooting range. No unauthorized shooting or trespassing is allowed. Public use, rules and regulations are listed below in the links. Uniting a Nation Shooting Match May 10th & 11th (9am & 1pm each day). 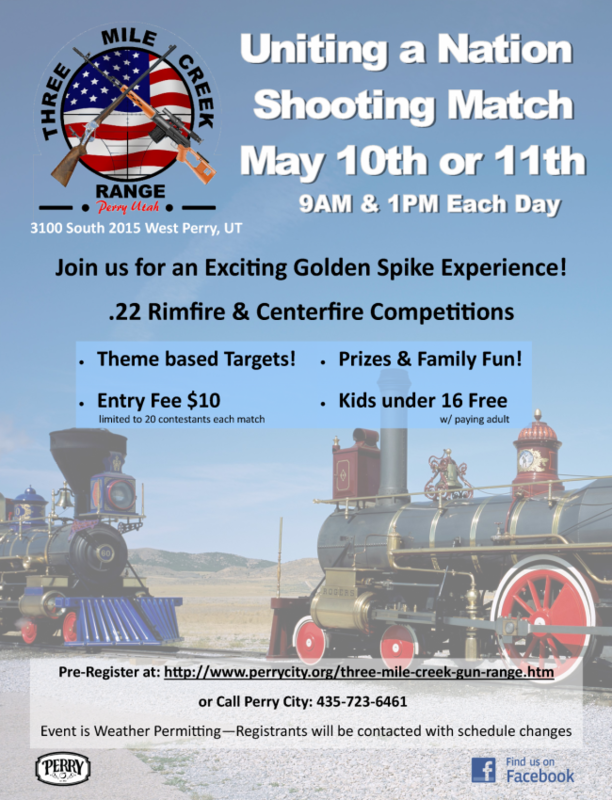 Join us for an exciting Golden Spike Experience. $10 per entry - Kids under 16 free with paying adult. Limited to 20 contestant per match. Fees will be collected at the match - cash only.